Kickerfish – What the heck is a Kickerfish? WHAT THE HECK IS A KICKERFISH? It’s a question I’ve been asked often lately whenever I mention the title of the new website. The customary guesses that immediately follow range from “Some kind of tropical fighting fish?” to an excited squeal of “Dolphins! !” to the ridiculous “A website about pickled herring?”. Many of you tournament anglers reading this of course will be quite familiar with the term ‘kicker fish’. The ever elusive ‘kicker’ that can mean all the difference between finishing out of the money to winning the whole thing. 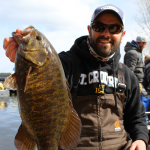 Relating to competitive fishing, the term loosely refers to any above-average sized fish that helps to comprise an individual angler’s or team’s bag limit for weigh-in. In a sport where literally every ounce counts, the boost that a big kickerfish can give you on the leaderboard is what separates the top anglers from the rest of the field. Why not just try for all ‘kickers’ you ask? If it were only that easy. I’m sure every tournament angler that has ever competed has fantasized about a perfect competition where every fish they brought to the scales was a lunker. Depending on the fishery and associated regulations, this is definitely possible and does happen at our regional events. More realistically however, anglers aim to boat limits of ‘solid’ fish or perfect ‘slotters’ and try hard for a couple of kickers to put them over the top. Quite often a kickerfish will be defined by a specific measurement. 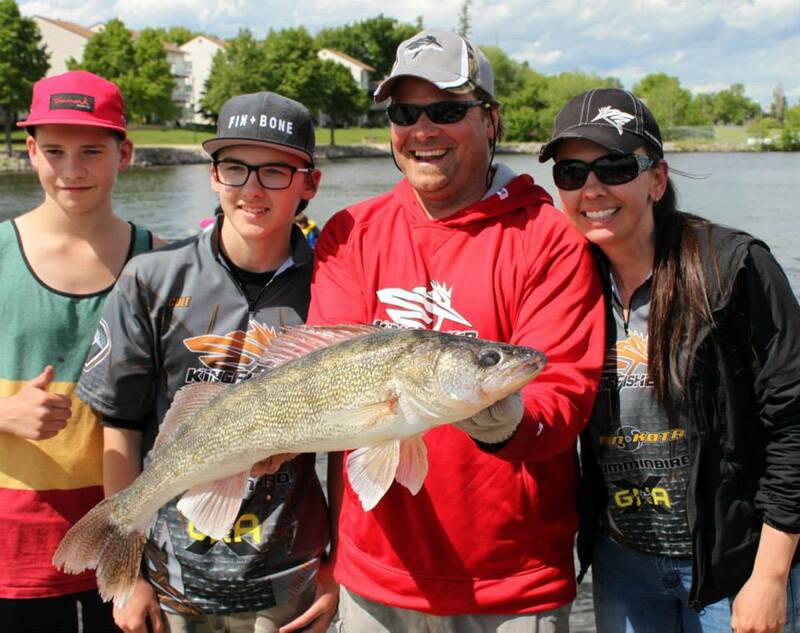 Most walleye tournaments in Manitoba or Northwest Ontario have to abide by slot fish regulations that are in place for the bodies of water that they occur on. 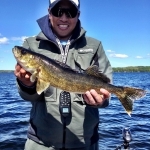 On Lake of the Prairies and on Falcon Lake for example, only walleye in the 30-45cm slot and only two over 70cm can be presented for weigh-in. Therefore a kicker would naturally be considered to be a walleye that is oversized or an ‘over’ for short. A kicker at Pine Falls or the Red River, however, can be greenbacks that exceed the 55cm mark as each angler can only retain one of these sized fish as part of their bag. Quite often though, a team needs at least one kicker closer to 70cm (27.75”), aka MB Master Angler, to challenge for a title. 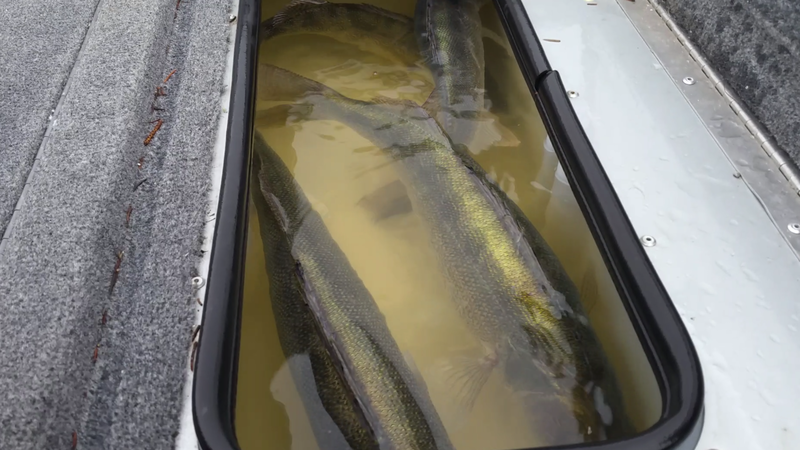 Walleye tournaments in Northwest Ontario generally use the 18” (45cm) slot marker with slight variations depending on the tournament. A couple of popular tournaments in the Minaki region have been affected by new Winnipeg River regulations where anglers can no longer retain any fish over 45cm including those over 70cm. 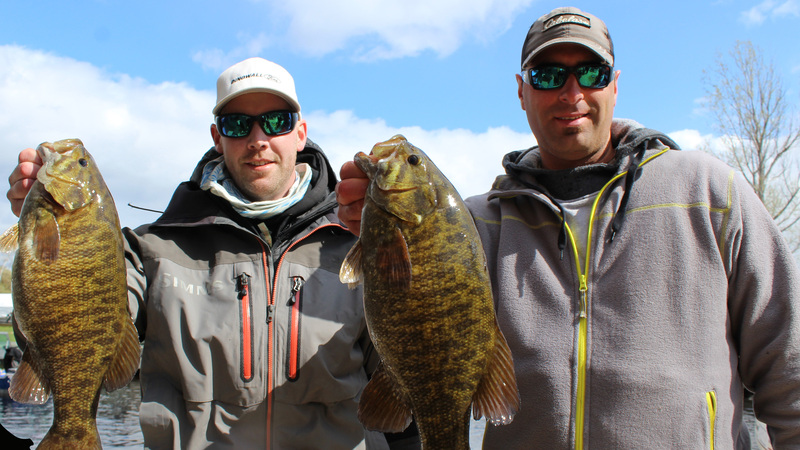 Kickerfish at the Minaki Walleye Classic tournament will now be recorded using the ‘Catch, Record, Release’ method. 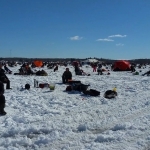 Bass tournaments in Manitoba are unique in that there is a slot limit of only two bass in a teams’ five fish limit that can be over 40cm. Your kickerfish in these tournaments would be the two oversizers. 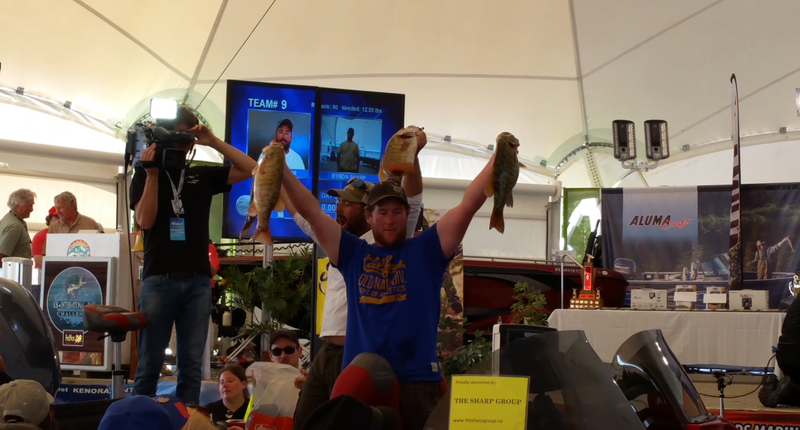 The tournament days where you end up having to cull kicker sized fish back into the water when you have three dinkers in the box feels almost unnatural but regulations are regulations. 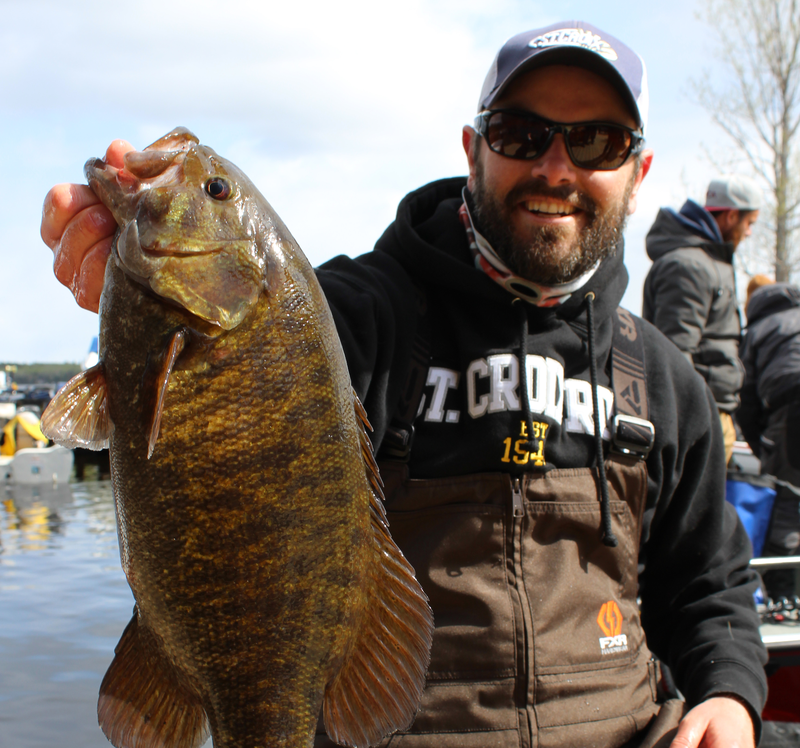 In Northwest Ontario there are no such size restrictions during bass tournament season (after June 30) aside from minimum length requirements. So days where teams are weighing in five fish limits of all 4 pound kickers are always possible. 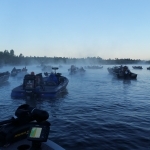 A mixed bag of some 3 or 4lbers combined with a 5 or 6 pound true kicker is often seen every year at the Kenora Bass International. Most of our regional tournaments for either species have some version of a ’Big Fish’ category. If you check out past results, it is always interesting to see what size fish win these awards. The info can be useful for game-planning or practicing on the same bodies of water or just for kicks to compare your catches when recreational angling. For those not too familiar with weights compared to length there are rough estimate converters or formulas available online. Good luck to everyone entering tournaments this season and get those kickers in the livewell.